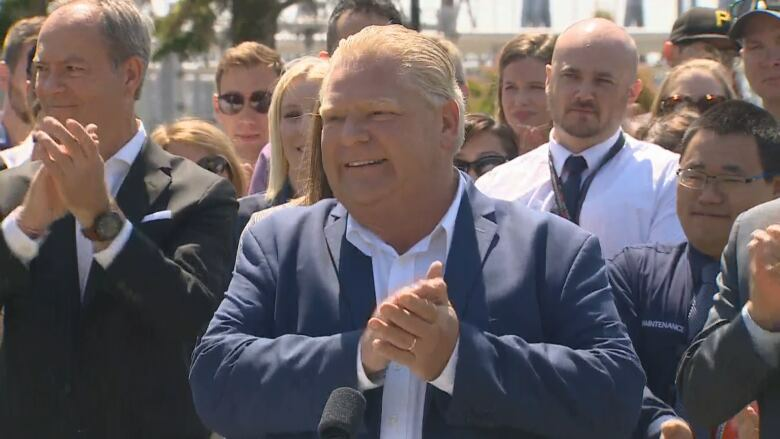 Premier-Designate Doug Ford says he's committed to protecting jobs at the Pickering Nuclear Generating Station east of Toronto. Incoming premier Doug Ford says he is delivering on his campaign promise to keep the Pickering Nuclear Generating Station open until 2024. In a news conference at the generating station Thursday morning, the premier-designate said the move would protect thousands of jobs. He says 4,500 jobs in Durham Region and an additional 3,000 jobs province-wide depend on the plant. "We would protect these local jobs because this is a win-win for all of Ontario," Ford said. "Low cost energy generated here in Pickering will lead to $600 million in savings on your hydro bills by 2024." 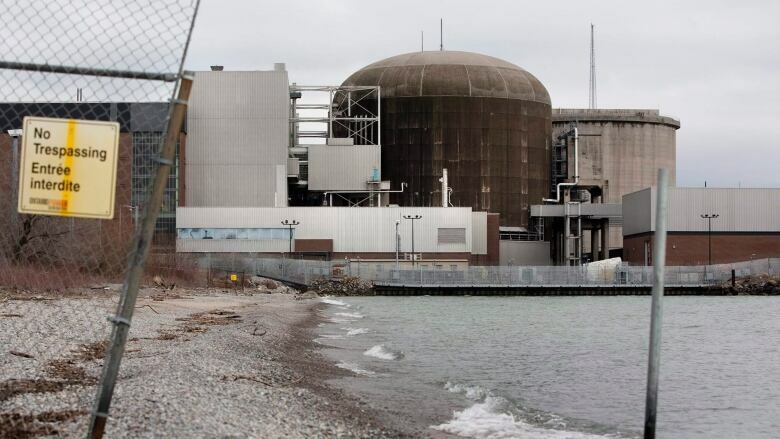 While those savings figures have been confirmed by Ontario Power Generation, the Crown corporation that manages the plant, some environmental groups say the station should be shut down as soon as possible. "If an accident happened at this station, which we don't want to happen, it would be way worse than Chernobyl or Fukushima," said Shawn Patrick Stensil, a spokesperson for Greenpeace Canada. Greenpeace says the plant is unnecessary as most of its electricity is exported to the United States. The Ontario Clean Air Alliance has also called for the plant to be closed. "We don't need the risk," Stensil said. "We shouldn't have the risk." In 2017, Ontario exported more than 19,000 gigawatt hours of power, more than three times the electricity it imported. During the election campaign the NDP and Green Party had promised to start shutting down the plant this year if elected. The Pickering plant is one of seven nuclear generating stations in Canada. It has six reactors and is capable of generating around 14 per cent of Ontario's electricity needs.